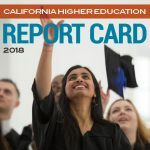 Governor Jerry Brown proposes $33.7 billion for California higher education in his 2018-19 budget proposal. The investment solidifies his signature fiscal prudence while continuing to enact investments and innovations to improve college performance that will live beyond his tenure. 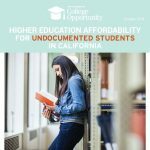 “California’s greatest strength has historically been in its educated citizenry. The only way to maintain that stature is with continued higher education investment. Today’s budget proposal preserves the Governor’s commitment to improved student completion with innovative ideas for funding our colleges and universities and the delivery of education,” said Michele Siqueiros, president of the Campaign for College Opportunity. 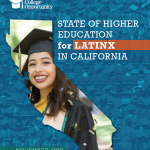 “The budget proposal, however, falls short of providing the additional funding necessary to expand seats at our public universities to meet increasing student and workforce demand,” concluded Siqueiros. 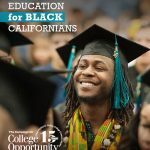 The Governor proposes an ambitious new funding formula for California Community Colleges that rewards better student outcomes by investing additional revenue in colleges for the number of students they graduate, the number who graduate within three years, and the number of students who earn an Associate Degree for Transfer. The proposal also suggests additional revenue for the number of low-income students a college enrolls. 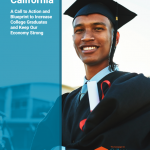 “Strategic funding by the state of California to increase college success by providing fiscal incentives to improve time to degree, transfer, and graduation is long overdue,” said Siqueiros. Read more.